Perhaps the most eagerly anticipated play in recent Broadway history, the 9-time Olivier Award-winning West End hit Harry Potter and the Cursed Child - Parts One and Two has finally made the trip across the pond and has opened its doors to crowds of excited muggles in New York City! Cursed Child is the official eighth story in the Harry Potter franchise and the first to be officially presented on stage. The events of Cursed Child take place nineteen years after those of the final J.K. Rowling novel "Harry Potter and the Deathly Hallows" and the production features dazzling illusions, bringing the Wizarding World to life before your very eyes, as well as seven of the original London stars reprising their roles on Broadway. We are obliged to #KeepTheSecrets in terms of the jaw-dropping stage magic, courtesy of the genius of Jamie Harrison, but we can assure you there won't be any disappointments. Yes, the theatre may not have the advantage of green screens and post-production special effects, so common in the Harry Potter movies, but on the other hand, Cursed Child is designed with theatricality in mind. From Steven Hoggett's spell-binding choreography, which additionally helps to render scene changes and character entrances seamless, to John Tiffany's wildly innovative directorial choices in scenes involving the Hogwarts Express or the events of the Tri-Wizard Tournament, Cursed Child is unapologetically and masterfully a piece of theatre, first and foremost. Harry Potter and the Cursed Child is presented in two parts at Broadway's Lyric Theatre and is a must-see for Potterheads the world over! Get ready to be stupefied! 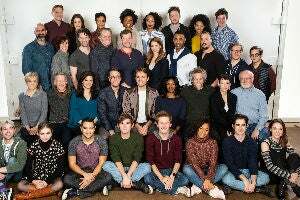 The "Year 2" cast of the Tony Award-winning "Best Play" Harry Potter and the Cursed Child: Parts One and Two begins performances at the Lyric Theatre tonight, as scheduled. The new principal cast members (pictured above) include James Snyder (as Harry Potter), Jenny Jules (as Hermione Granger), Matt Mueller (as Ron Weasley), Diane Davis (as Ginny Potter), Nicholas Podany (as Albus Potter), Jonno Roberts (as Draco Malfoy), Bubba Weiler (as Scorpius Malfoy), and Nadia Brown (as Rose Granger-Weasley). The producers of Harry Potter and the Cursed Child have announced the new Broadway cast, who will give their first performance at the Lyric Theatre on March 20, 2019. The current cast will play their last performance on March 17, 2019. 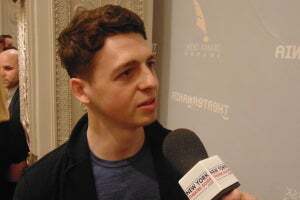 James Snyder will play Harry Potter, assuming the role from Tony Award nominee Jamie Parker. Matt Mueller will play Ron Weasley, taking over from Paul Thorney, whilst Jenny Jules will play Hermione Granger, assuming the role from Tony Award nominee Noma Dumezweni. 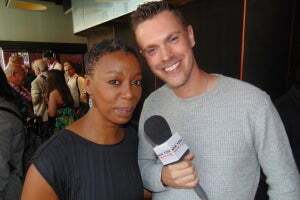 Two-time Olivier Award winner Noma Dumezweni has become a Broadway star faster than you could wave a magic wand and cry "Riddikulus!"... and that's all thanks to a spellbinding, Tony-nominated performance as Hermione Granger-Weasley in Harry Potter and the Cursed Child - Parts One and Two at Broadway's Lyric Theatre! J. K. Rowling's Wizarding World has landed on Broadway and it's here to stay, muggles! The smash hit London import of Harry Potter and the Cursed Child - Parts One and Two swept the board at the Olivier Awards in 2017 with a record-breaking nine wins and - now playing at New York's Lyric Theatre - is currently nominated for 10 Tony Awards - itself a record for most nominations for any play in Broadway history! They've put a spell on us and now we're theirs! For nearly two whole years Potterheads the world over have only had one theatrical destination to get their fix of the eighth official chapter in the Harry Potter franchise. J.K. Rowling, playwright Jack Thorne and director John Tiffany's production of Harry Potter and the Cursed Child staged its world premiere in London's West End, beginning previews on June 7, 2016, opening to unanimous rave reviews on July, 25, and going on to scoop a record-breaking nine Olivier Awards in 2017.